This alone doesn't capture the true reality. Obviously, the overwhelming majority of these people live outside the coastal region since the coastal region is much wealthier. 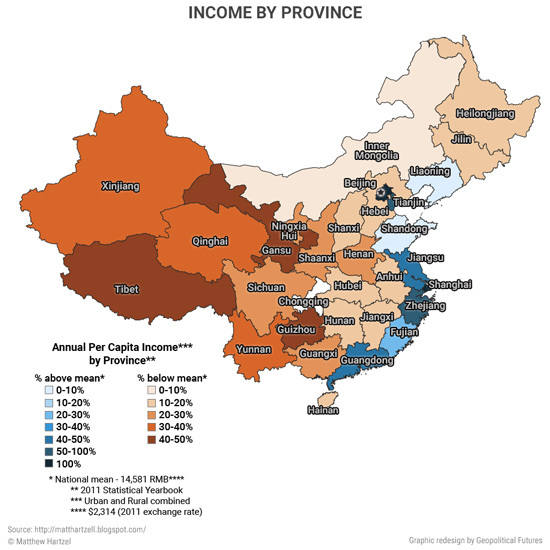 Put another way, most Chinese wealth is concentrated 200 miles from the coast. 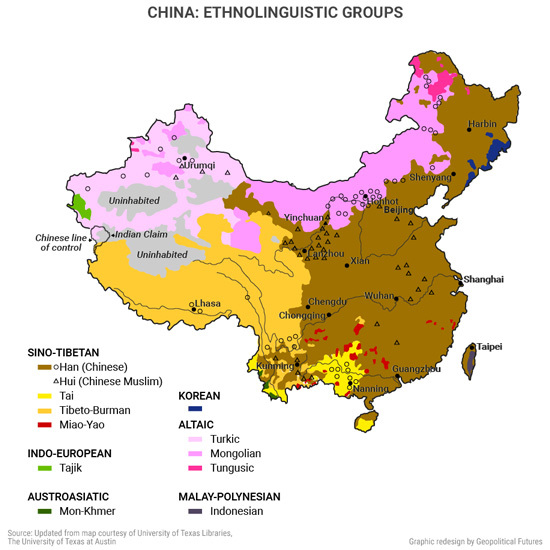 The next 500–1,000 miles west is a land of Han Chinese living in Third World poverty. 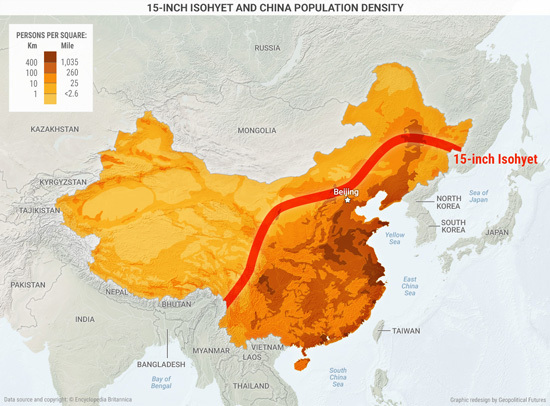 The China that most Westerners think about is the thin strip along the coast. The fact is that China is an overwhelmingly poor country with a thin veneer of prosperity. An equally urgent task is to assure that social conflict does not arise between the coastal region and the Han interior. The loss of foreign export opportunities has placed pressure on the coast. Beijing’s interest in maintaining stability in the interior requires transfers of money from the coast. However, the coast’s interests are focused on the United States, Europe, and the rest of Asia since these are the coast's trading partners and the interior is incapable of purchasing the coast’s products. No stimulus imaginable can raise the interior’s income levels to the point that this area could become a market for the coast given the poverty they live in currently. This would be a multi-generational project.